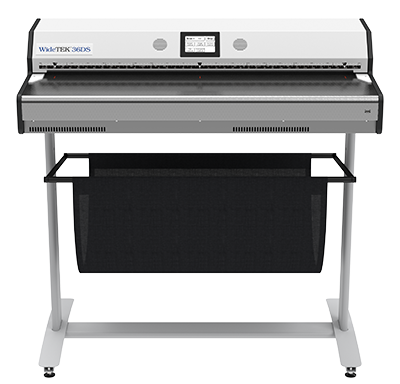 WideTEK® 36DS - the world´s first wide format duplex scanner for digitization of two sided printed documents up to 36 inches (915 mm) in width. 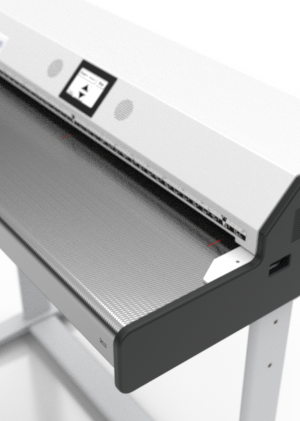 At a resolution of 300 dpi the scanner needs only 2.5 seconds to scan the front and back sides of a newspaper page in a single pass through the scanner. The idea of double sided scanning in one production step primarily means less production effort: The document no longer needs to be flipped over and scanned again on the other side. That makes the scanner an ideal companion for press clipping, archiving and library services. The scanner features two camera boxes, both consisting of three CCD systems, integrated into the upper and lower part of the device. The WideTEK® 36DS captures both sides of the newspaper at the same time. After scanning, software separates the scanned document into four single images; capturing the left and right half of the front and back of the newspaper - everything in one single step. The scanner is equipped with two processor units. This allows an extremely fast data throughput. The patented stitching procedure merges the images of the cameras seamlessly together. The scanner resolution of 1200 dpi guarantees brilliant scan results. 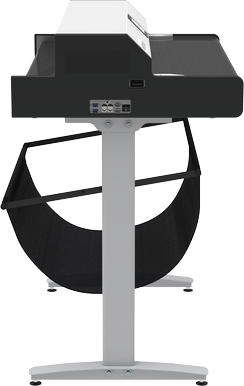 The WideTEK® 36DS encompasses the proven technologies of the entire WideTEK® scanner family. The mechanical construction of the WideTEK® 36DS is also a highlight. The more extensive mechanics and additional camera and light units were integrated into the device without dramatically enlarging its dimensions. The duplex scanner is only 13 centimeters larger than the compact WideTEK® 36. The complete camera optical system is integrated in two dust-free sealed housings. Once optimally adjusted, all components are protected against external influences and require no maintenance. Special transport rollers, with individually spring loaded ball bearing pairs serving as pressure points; ensure the best possible gentle document transport. WideTEK® 36DS digitizes even historical and fragile documents without damage to the source document.